It’s been almost a year and I haven’t posted anything on my blog! I’m always bugging and bugging my mommy when she’s working on my computer trying to get her attention. She’s has been crazy busy…. I guess that’s what humans do? …. Then they start to make excuses why they don’t have enough time to play with you….?!!! I figured I better get serious and have a BIG talk with my mommy. I think the best way to talk to anyone is on a full stomach. 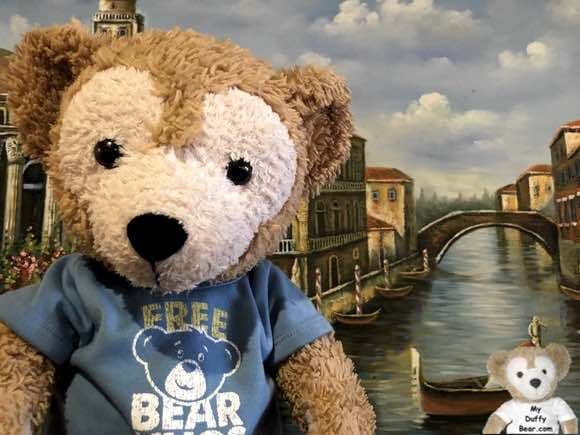 So I took my mommy to an Italian Restaurant! It’s a good thing that humans will stop what they are doing if you put duffer-D-licious food in front of them to eat! I figured that this is gonna be kind of a business lunch. …by first thing… I mean before I even ordered my food!!! That’s just how super dufferduper serious I am about getting back to my blogging. I figured if mommy saw me make my video saying ‘I’m sorry for not posting on Youtube’ to all my YouTube fans and post the video lickety-splits,….. mommy would kinda get the hint that I need to start posting stories on my blog again too! Step one complete! I posted my video up on youtube. 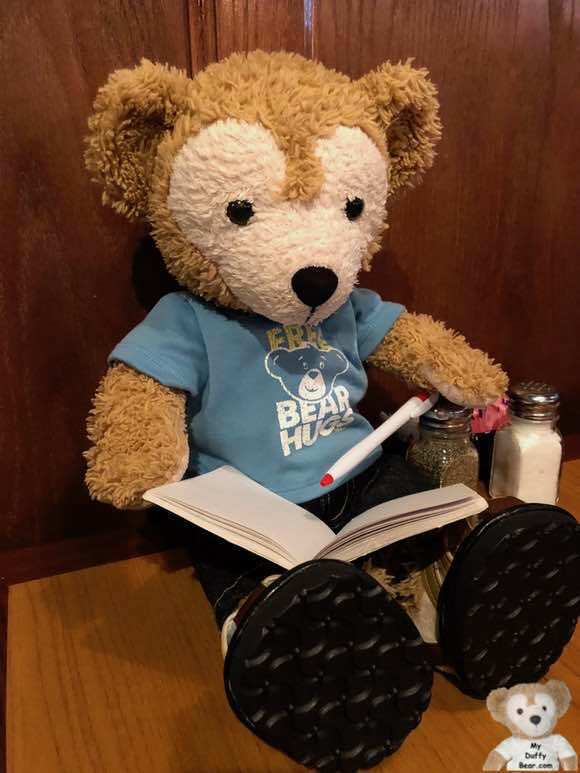 Step two – order my lunch! 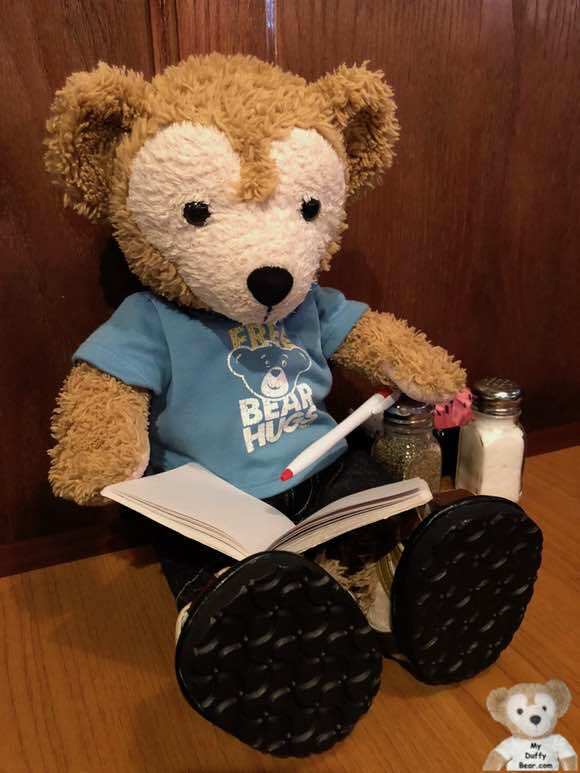 I figured that holding a pen and my cherry red note book would make me look very beary official and business like…. I wasn’t really sure how to begin…. I wanted to make sure I didn’t forget to tell mommy all the things I was thinking about that I wanted to tell her. Okies – back to my notebook! Hey – what’s this? ….A blank page? Oops…. maybe that’s why I don’t know how to begin…. …I forgot to write all the stuff in that’s been fluffing around in my cranial stuffing in my little cherry red note book! 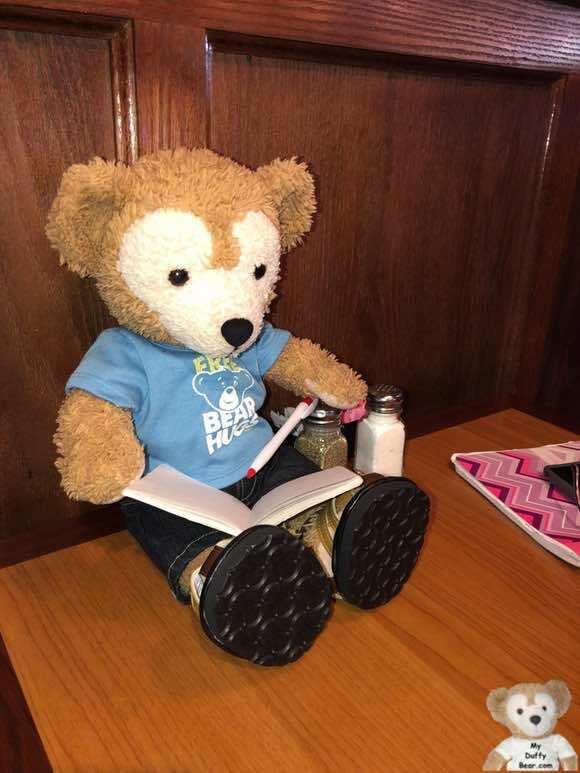 When you’re a blogger it’s very beary important to…. 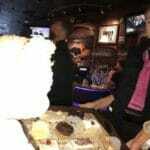 Take a photo of your food and then…..
OMB! 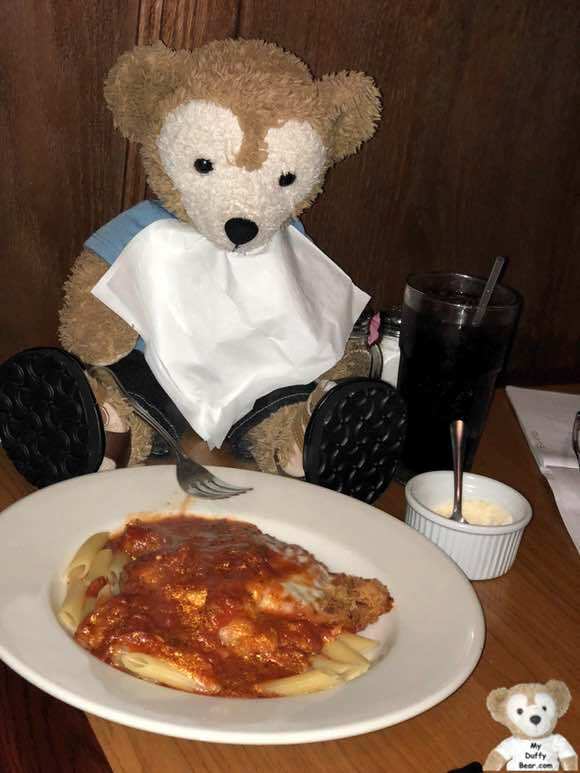 My Amici’s Italian Restaurant veal parmesan with penne pasta is Duffer-Nutterly Scrumpt-Dilly-ish-ous! Hummmm…. Still all blank pages…. Well….. It’s now or never…. Mommy apologized for being super busy, and then she said…. “Say WHAT?” It’s was just that easy? Just tell mommy I wanna blog and she’ll get of the computer? YIKES! I don’t like that word… “RESPONSIBLE” it’s a big word! And ‘cause mommy also uses that word “RESPONSIBLE” when I gotsta do my chores! 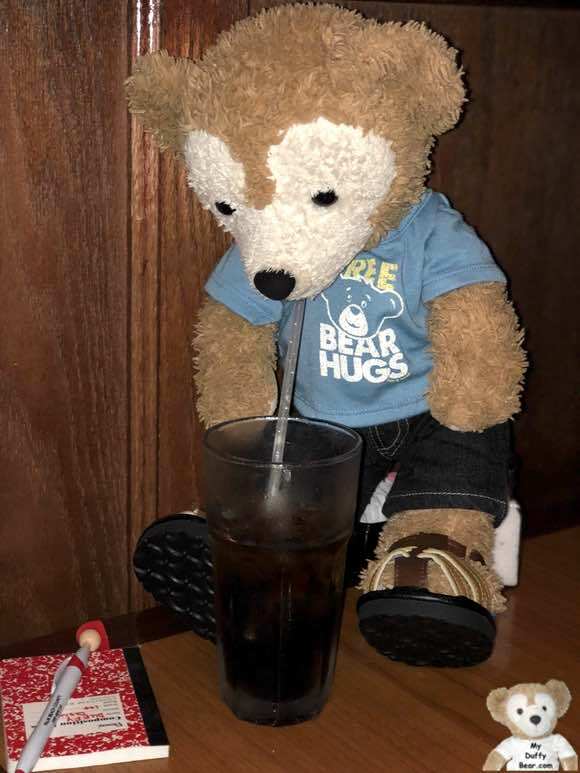 Just then the waitress came by with…. wait for it….. Wait! Don’t take the tray!!! I turned white! Whiter than a ghost when I saw the waitress start to take the tray away! I was so white, I almost fainted! And mommy took the bait! 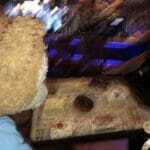 Six year olds got lots and lots to learn, so mommy’s are always very beary forgiving. The waitress brought me a cannoli! I was scared that it might disappear, just like the tray with all the desserts disappeared super fast that I forgot Blogging Rule Number 1…..
take a picture of your food BEFORE you eat! Hehehehe….. 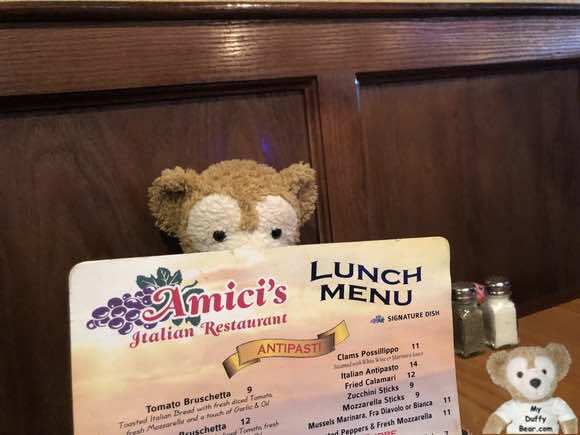 I guess that means I have to go back to Amici’s Italian Restaurant very beary soon and order another cannoli! It was Scrump-Dee-Duffer-Lish-E-OUS! I guess…well…. maybe…. mommy is sorta …. *gulp*……… right? RE-Responsible for my blogging, facebook & twitter. and that I do kinda … nope- I really LOVE teleporting to Neverland! …..and I LOVE playing with Little Joe – especially playing Pirates! …..and I LOVE teasing ShellieMay. ….and I LOVE to BLOG! Oh – I’ll figure it out! 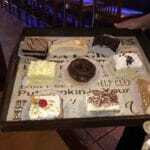 Life is only lots and lots of duffernutter fun…. When I do everything I LOVE! Tagged food, restaurants, video blog post. Bookmark the permalink.